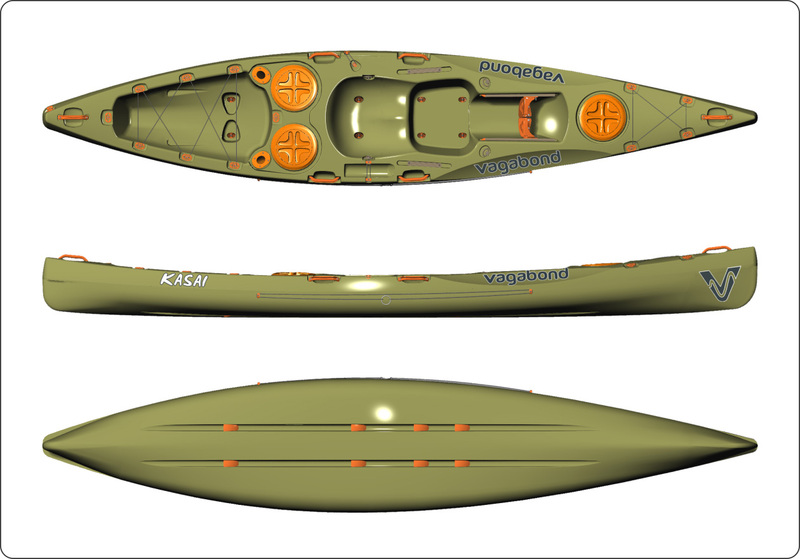 This angler version of our fast and stable Kasai sit-on-top kayak has all the features of its sibling as well as fishing-specific additions. Two Rod Holders are positioned next to the hatches (8″ Day Hatch and 8″ Screw Hatch), behind the seat. Swing yourself around, with your legs hanging over the side, to access the hatches and to work with your rods. Use the Deck Rails, which are positioned on either side of the seat, to customise your setup by attaching gadgets like cameras, GPS units and fish finders. An Anchor Trolley is also installed on the right side of the kayak. Use this to position your anchor to keep the boat in the perfect location and angle. Stretch your legs without making landfall by standing up on our Stand-up Platform. While you’re up, use the advantage of your height-above-water to view your surroundings. The platform is also stable enough for just about anyone to stand and cast from. The large rear tankwell has Crate-Holding Indents to hug a crate. Attach tie-downs, straps or bungee cords to the Multifits positioned around the tankwell to secure your gear and prevent it being washed overboard by a rogue wave. The Kasai Angler can carry a lot of weight. If you want to load a lot of gear or intend to catch some big fish and take them home, this boat is the ticket. The boat has good speed too, so it is great for covering longer distances and for trawling too.